I’m so happy to be able to post the first author blurb for What You Left Behind — and it’s a terrific one! Also, What You Left Behind is officially up for pre-order. Yippee! So soon now! Cover Reveal for WHAT YOU LEFT BEHIND!!! Barnes and Noble’s awesome book blog hosted the cover reveal for my new book WHAT YOU LEFT BEHIND last week, and I’m SO excited! The cover is gorgeous, and I got so many positive responses from TAL (Twitterers At Large). I can’t wait for this book to be out in the world—only 6 more months! So here it is! What do you think? For the full cover reveal and my own personal thoughts/reactions to the cover, click here! Join YA Authors and Readers in the #WeNeedDiverseBooks Campaign! Take a photo holding a sign that says “We need diverse books because ___________________________.” Fill in the blank with an important, poignant, funny, and/or personal reason why this campaign is important to you. The photo can be of you or a friend or anyone who wants to support diversity in kids’ lit. It can be a photo of the sign without you if you would prefer not to be in a picture. Be as creative as you want! Pose the sign with your favorite stuffed animal or at your favorite library. Get a bunch of friends to hold a bunch of signs. However you want to do it, we want to share it! There will be a Tumblr at http://weneeddiversebooks.tumblr.com/ that will host all of the photos and messages for the campaign. Please submit your visual component by May 1st to weneeddiversebooks@yahoo.com with the subject line “photo” or submit it right on our Tumblr page here and it will be posted throughout the first day. Starting at 1:00PM (EST) the Tumblr will start posting and it will be your job to reblog, tweet, Facebook, or share wherever you think will help get the word out. The intent is that from 1pm EST to 3pm EST, there will be a nonstop hashtag party to spread the word. We hope that we’ll get enough people to participate to make the hashtag trend and grab the notice of more media outlets. Yes, this book is my first one written in the point of view of a BOY. It was so fun being in Ryden’s head and being able to write in his voice. I hope readers love him as much as I do. Stay tuned for more info! 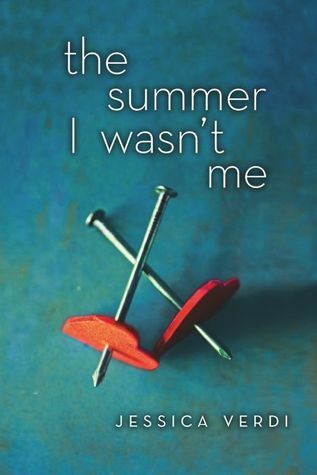 Enter to Win a Signed ARC of ‘The Summer I Wasn’t Me’ on Goodreads! My Life After Now to be Published in Poland!!! OMG you guys. Best Monday morning news ever. My Life After Now has sold in Poland and will be published in that country February 5th, 2014! I can’t wait to hold a book in my hands that I wrote but don’t have the first clue how to read. There’s something kinda awesome about that. Myślisz, że ciebie nie może to spotkać? To był najgorszy dzień w życiu Lucy. Serio, najgorszy z najgorszych. To wszystko już ją przerasta – chce uciec. Z domu, od własnych myśli i od własnego życia. Chce zostać zupełnie nową Lucy. Decyduje się więc na coś, co dawnej Lucy nie przeszłoby nawet przez myśl. Teraz jej życie już nigdy nie będzie takie samo. Czy będzie mogła mieć teraz chłopaka? Co powie przyjaciołom? Czy będzie miała odwagę przyznać się rodzinie? Jej życie jest teraz zupełnie inne. Każda chwila to dar. A tych chwil może nie być już zbyt wiele… Ten jeden raz, który zmieni całe życie. I recently had the honor of speaking at the 2013 ALAN (Assembly on Literature for Adolescents of the NCTW) Workshop in Boston. It was such a wonderful experience (terrible Amtrak experiences notwithstanding). Advanced Reader Copies of ‘The Summer I Wasn’t Me’ Are In! Ahhhhhhhhhh!!! They are BEAUTIFUL! I can’t wait till the book hits stores in April! My number one piece of advice to anyone seeking to tackle difficult themes in YA: don’t forget the character while writing about the issue. If there’s a subject you are passionate about and want to write about, go for it, no matter how tricky the issue may be—teenagers can handle and understand a lot more than we sometimes give them credit for. But readers of any age also want to connect with the characters they’re reading about. If you are able to find that balance, you’ll have a successful story. Click here to check out the entire post and enter to WIN A SIGNED COPY of My Life After Now!